How to Identify Common Weeds? At Bark and Branch, we are passionate about providing weed control. It’s one of our most favorite services to provide. However, we are frequently asked by our clients how to identify two of the most common weeds: Japanese knotweed and giant hogweed. Both these plants are difficult to control and can wreak havoc on your home’s landscaping. The first step is to identify what they look like. Here’s how you can identify both kinds of weeds. First, identify the leaves. The new leaves are typically dark red and about 1 to 4cm long. This is the perfect time to find them and for Japanese knotweed control to be effective. Young leaves are typically green in color and are rolled back and have deep red veins throughout. Mature leaves are fully green and heart-shaped. They are also around 12cm long. The stems of Japanese knotweed are similar to bamboo and have nodes and purple specks. The grow to around 2m to 3m tall when fully mature. These leaves sprout from the nodes and create a weird pattern at the top of the tree. 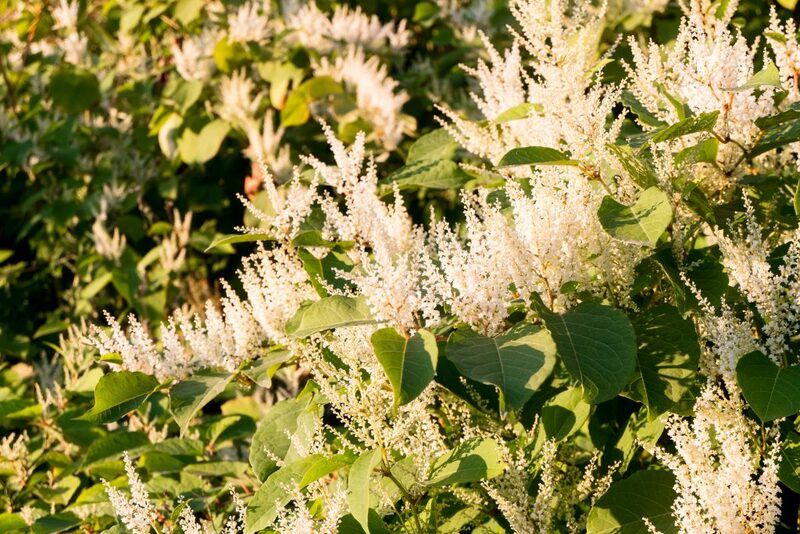 You definitely want to hire a professional to tackle your Japanese knotweed infestation as they can easily spread and cause serious trouble for your property if you’re not careful. Giant Hogweed is a bit different. The biggest tell-tale sign that what you have on your property is giant hogweed is its size. As the name denotes, these are massive bushes. They grow to at least 4 metres in height before they flower. The primary stem is smooth to the touch and has hairy leaf joints. The stem of the plant can also grow in circumference to a full 5 inches. It’s easy to see why giant hogweed control isn’t easy, especially if the plant grows to maturity. You’ll also notice the main stem has purple blotches throughout. The leaves are large and smooth and have a shine to them. 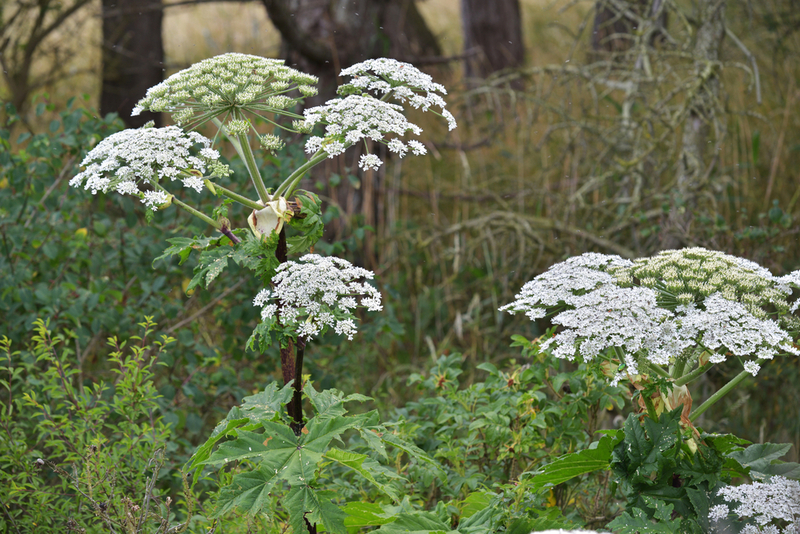 For giant hogweed control and Japanese knotweed control, consider using our services. We can eliminate their growth and prevent them from taking over your home. Just give us a call for fast service.